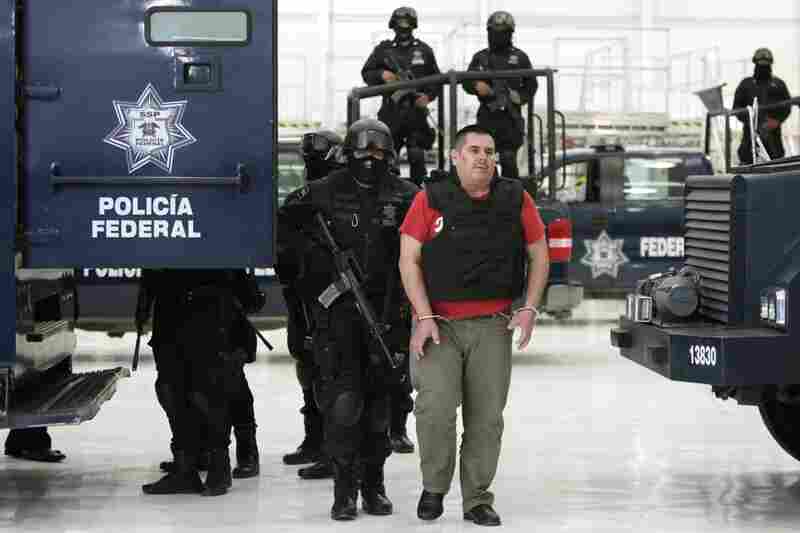 Mexico Captures Alleged Head Of Drug Cartel Mexican officials said the arrest of Jose de Jesus Mendez Vargas, aka "The Monkey," has dealt a lethal blow to the La Familia cartel, which has terrorized western Mexico. Mendez is accused of moving tons of cocaine, methamphetamines and marijuana to the U.S.
Mexican federal police said Wednesday that they had dealt a lethal blow to one of the country's most notorious drug cartels following an operation that nabbed the alleged leader of the cultlike, pseudo-Christian La Familia cartel. Jose de Jesus Mendez Vargas, nicknamed El Chango, or "The Monkey," was apprehended Tuesday in the central state of Aguascalientes, officials said. 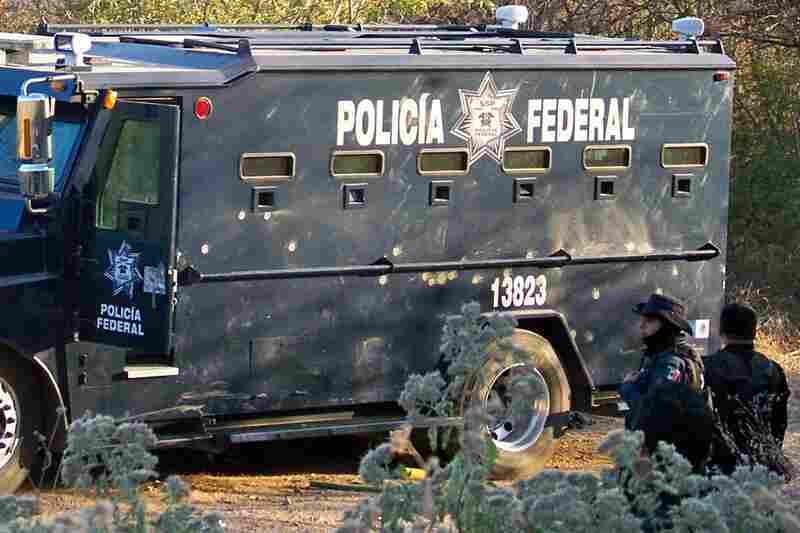 La Familia terrorized western Mexico from its headquarters in Michoacan province, and Mendez is accused of moving tons of cocaine, methamphetamines and marijuana to the U.S. He was caught without a single shot being fired, officials said. Mexican federal security spokesman Alejandro Poire, speaking at a news conference in the capital, said the arrest had destroyed "what remained of the command structure of this criminal organization." President Felipe Calderon on his Twitter account trumpeted Mendez's arrest as a "big blow" against organized crime. La Familia had been in disarray ever since December, when founder and leader Nazario Moreno Gonzalez was killed in a bloody two-day shootout with police. He is the alleged mastermind of kidnappings and killings, mainly of members of other criminal organizations. Poire said Mendez represented "the last remaining head of a criminal group responsible for homicides, kidnappings, extortion, corruption and even cowardly attacks on the authorities and civilian population." NPR's Jason Beaubien, reporting from Mexico City, said that in Michoacan, La Familia was run like a cult and emphasized social programs and the teaching of a Christian-like ideology along with the group's criminal activities. "They talked about getting people off drugs and banning the local sale of drugs, at the same time their entire focus was on moving drugs and selling tons of cocaine and methamphetamine inside the United States," Beaubien said. The group used extreme violence — often beheading its rivals — and propaganda to control its territory. La Familia claimed in banners and even newspaper ads that it was "protecting" the people of Michoacan from other criminal organizations. 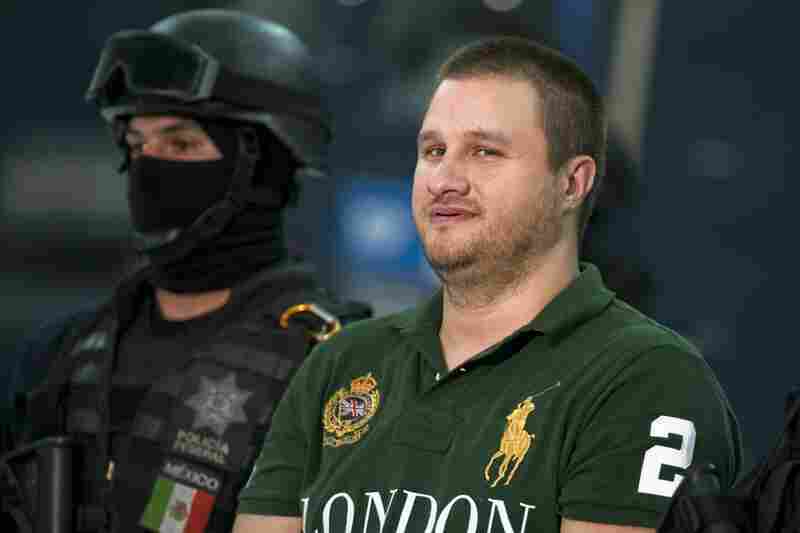 The Mexican government had offered a $2.5 million reward for Mendez. U.S. Justice Department spokeswoman Laura Sweeney declined to comment on whether Mendez is sought by the U.S. 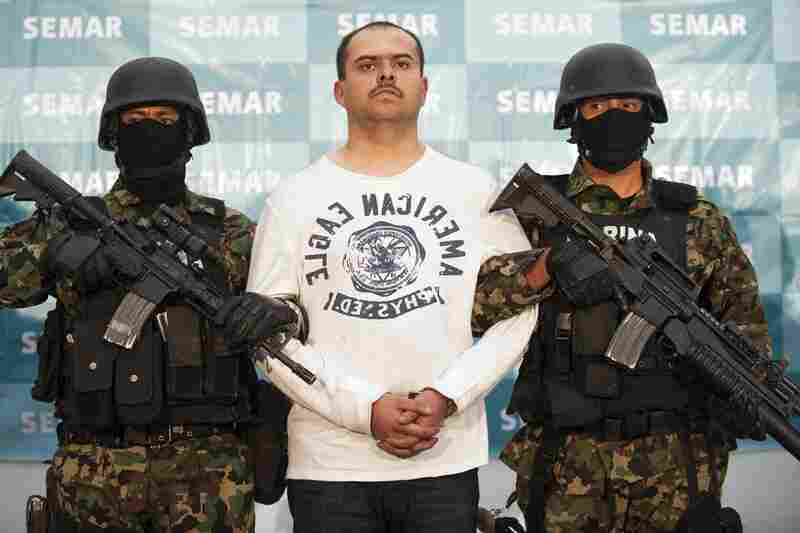 In February 2010, he was listed as a drug trafficker by the Treasury Department, prohibiting Americans from conducting financial transactions with him and other suspected La Familia cartel members. Mendez's alleged work in organized crime predated La Familia's origins. He was arrested nine years ago in the city of Apatzingan on suspicion of killing gang members but was later released, the federal attorney general's office said Tuesday without specifying why. Mendez then led a group of hit men that worked for the Gulf cartel before La Familia's birth. He had a security team known as the "Twelve Apostles," according to the federal attorney general. La Familia first appeared four years ago when it rolled five severed heads into a Michoacan nightclub, vowing to protect local citizens from rival cartels. 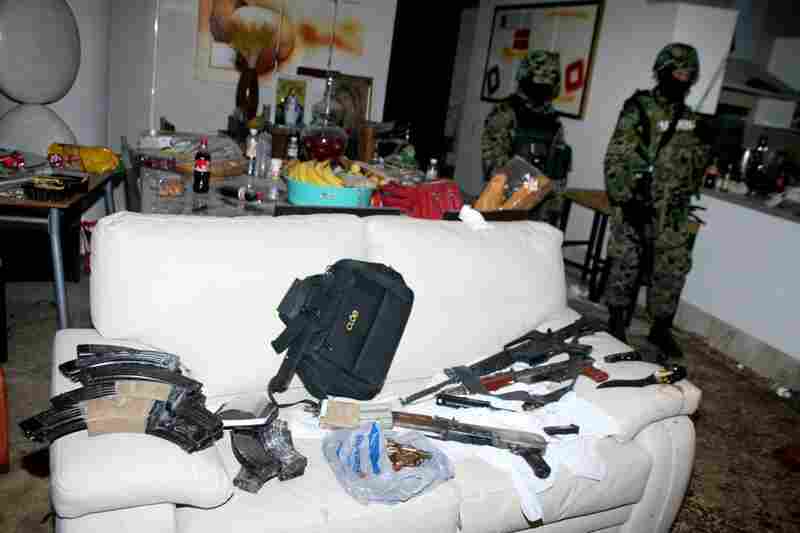 La Familia was part of the Gulf Cartel but later became an independent drug-trafficking organization, which ignited a rivalry between the two gangs. La Familia split into warring factions after Moreno's death, but Mendez was believed to have remained the leader of the main faction, according to federal police. In March, messages began to appear that a faction calling itself the Knights Templar sought to replace La Familia. The offshoot group's name alludes to a Christian order of knights founded in 1118 in Jerusalem to protect pilgrims in the Holy Land after the First Crusade. 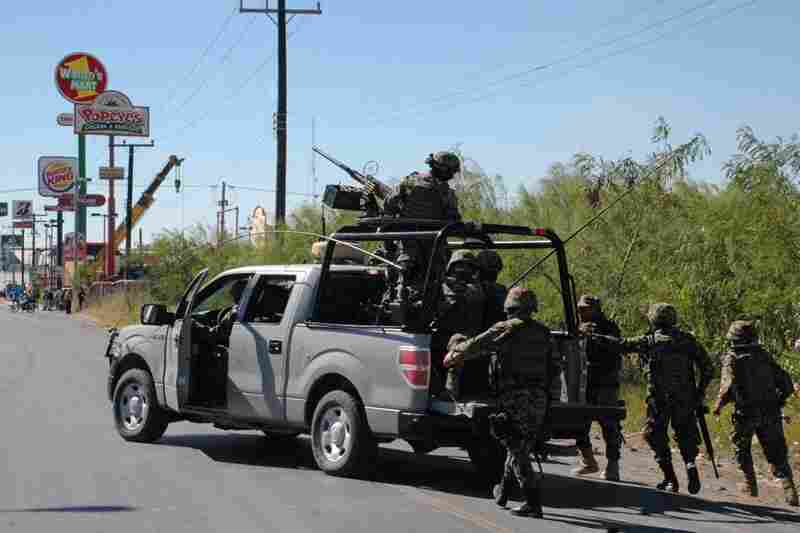 An increase in gunfights between factions and clashes with police in Michoacan forced as many as 3,500 people to flee their hamlets in May and seek refuge in churches, schools and recreation centers in larger towns nearby. Poire told reporters that with Mendez's arrest, 21 of the country's 37 top drug traffickers have been apprehended or killed since 2009.